MDCE drew a record 675 marine dealer professionals this year, besting the previous mark by about 60. 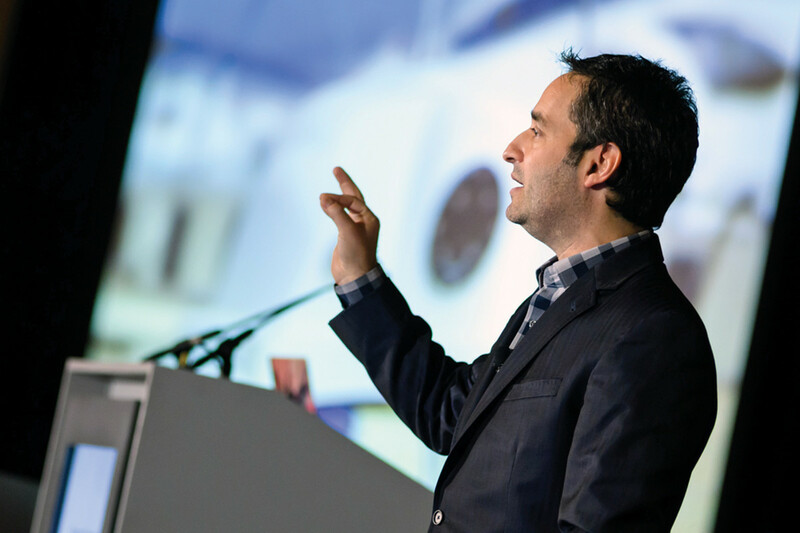 That was the message keynote speaker Josh Linkner hammered home at this year’s Marine Dealer Conference & Expo, the industry’s primary education and networking event for dealers. Linkner is the founding partner of Detroit Venture Partners, which has invested in and mentored more than 100 startup businesses. 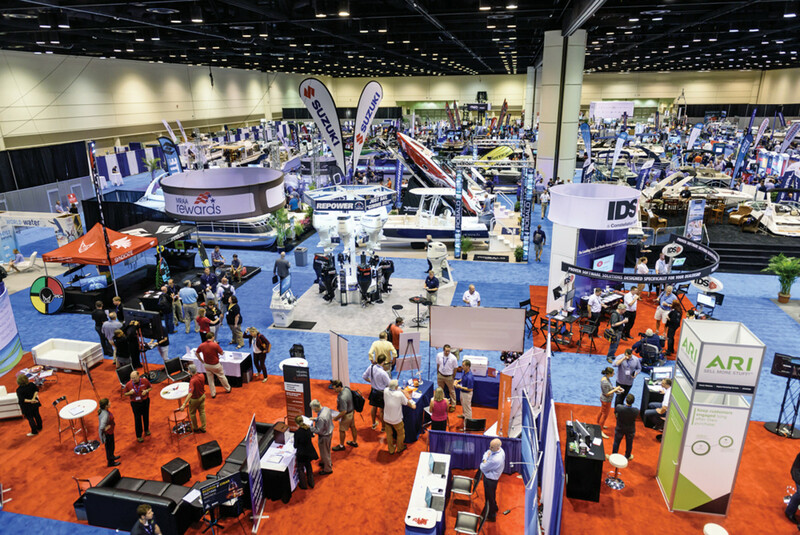 A record 675 marine industry professionals attended the Dec. 5-8 MDCE at the Orange County Convention Center in Orlando, Fla. The previous high was 617 in 2013. 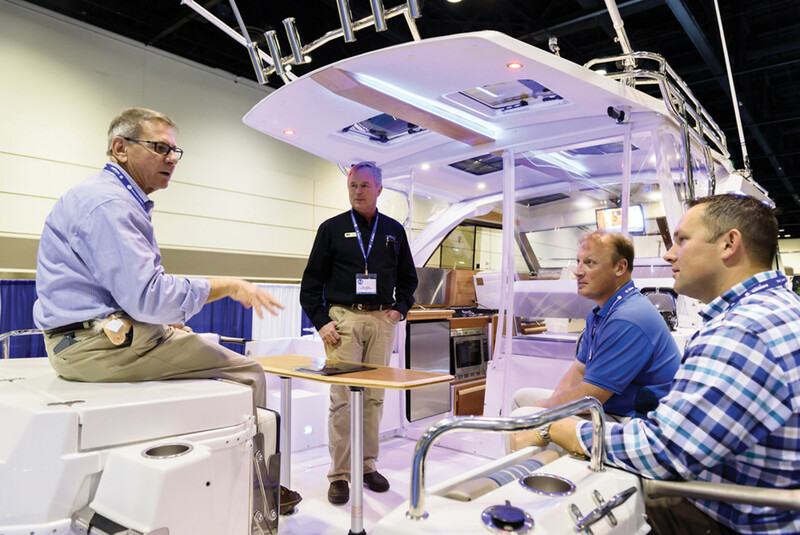 The MDCE is organized and managed by the Marine Retailers Association of the Americas and Boating Industry magazine. Growing the industry through innovation was one of several themes streaming through this year’s conference, along with tackling a daunting workforce shortage problem and stepping up efforts to tap in to more financially capable minority markets. The Hispanic, African-American and Asian markets are ripe for the taking, said National Marine Manufacturers Association president Thom Dammrich. MDCE gives dealers a chance to learn practices to improve their businesses and also to network with other professionals. Dammrich backed his statements with a long list of facts. Hispanics will represent 52 percent of U.S. homeowners by 2030. Hispanic buying power is expected to reach $1.7 trillion by 2020. The median age of the Hispanic population is 29, compared with 43 for the non-Hispanic white population. From 2000 to 2014, the African-American population grew 35 percent faster than the total population. The percentage of black high school graduates in 2015 enrolled in college jumped to 70.9 percent from 59.3 percent the previous year. African-American spending is expected to increase from $1 trillion in 2013 to $1.4 trillion by 2017. Asian-American households in 2014 had the highest median income of any racial group — $72,689. Nearly 54 percent of the Asian population ages 25 and older have a bachelor’s degree or higher education, compared with 32.5 percent for the entire U.S. population. 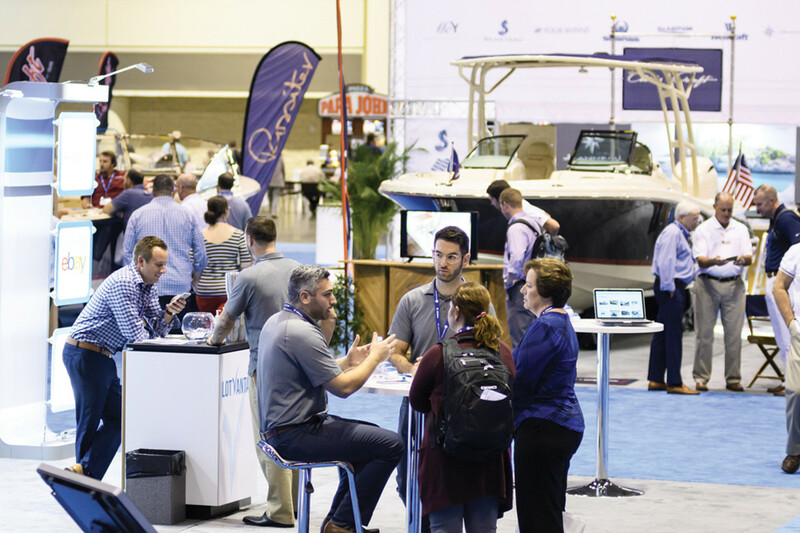 The more than 100 exhibitors included boat, engine and aftermarket product manufacturers. The strong potential of these markets should motivate industry leaders to strengthen the workforce, says Matt Gruhn, president of the MRAA, which recently released a report illustrating the need for more employees. More than 20 percent of positions (3.8, on average) at dealerships remain unfilled, according to the report, which surveyed 1,300 dealership locations. Fifty-nine percent of the unfilled spots are in service, and 88 percent of the unfilled service positions are for technicians. Also, the report says six additional employees will be needed by 2019 at dealerships, and 86 percent of responding dealers had multiple positions unfilled. The MDCE also serves as a rallying place for the industry as it moves into 2017. Opening keynote speaker Josh Linkner tried to inspire his audience to innovate through unconventional methods. This year the event featured new “Dealer-to-Dealer Roundtable Discussions,” which consisted of 30 meetings on topics that included inventory management, website design and handling difficult customers. Also new were Dealer Case Studies — insights into best dealer practices that are already in use and that other marine businesses can easily adopt. 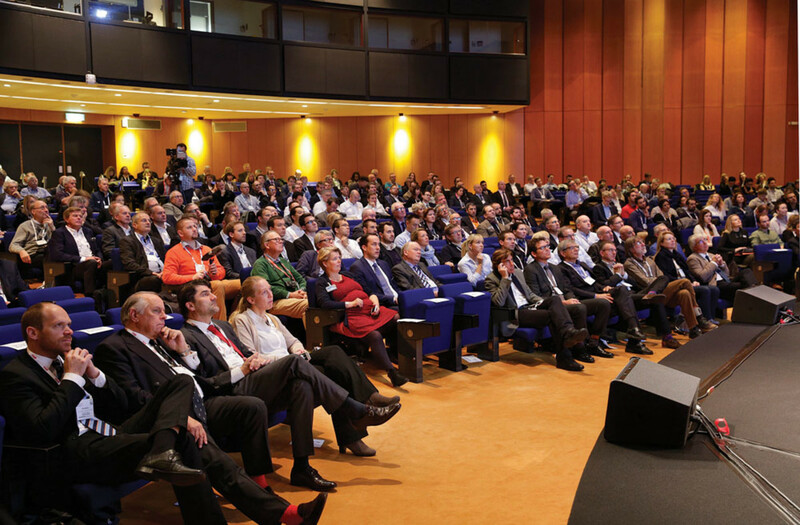 The Innovation Spotlight, a series of 15-minute educational presentations on trends in marine products and services, was also introduced this year. Linkner packed his 90-minute presentation — “The Gravity-defying Leader: Innovative Approaches to Hyper-growth Leadership” — with stories of business leaders as well as everyday people who succeeded by taking chances on innovation in unconventional ways. Linkner, whose father owned a 38-foot Island Packet sailboat, used his five “obsessions that drive innovative thinkers” (get curious, crave what’s next, defy tradition, get scrappy and adapt fast) as the backbone of his presentation. To illustrate the “get scrappy” principle, Linkner, who grew up in the Great Lakes region and later owned a pontoon boat, used the example of a bicycle company that began using shipping boxes labeled as “plasma televisions” so carriers would use extra care during transport. That led to a sharp decrease in warranty claims. “The key to innovation is grit,” said Linkner. To show how successful people are capable of adapting rapidly, Linkner ran a video of Kevin Bull, a young stockbroker competing on the TV show “American Ninja Warrior” who used his legs instead of his upper body to complete an acrobatic feat that had not previously been accomplished on the show. Linkner called Bull’s move “a reversal” — an unconventional idea that leads to innovative achievement. He also told the story of a Pittsburgh hospital that used window washers dressed as superheroes to cheer up sick children as they squeegeed their way down the building. Another example of fast adaptation was an epic billboard advertising war in Los Angeles between Audi and BMW in which each car company countered the other with a larger billboard. “They were both winners because they both showed their ability to adapt,” said Linkner. Linkner tried to get the crowd’s creative juices flowing with examples of innovative and cutting-edge marine products and boats, such as a solar-driven yacht (Solaris by Duffy London), an underwater drone-like device that cleans the bottom of a boat (Keelcrab) and an app (Dockwa) that carries out dockage and dining reservations for cruising boaters.